Blah…! Run out of tissues and now on reserve supplies. Feeling pretty crap today, day 3 of hideous cold and so much work to do. Spent much of my time on Wall to Wall exped planning yesterday and in the background thinking about course work for Uni. So today I need to flick the switch and get some course work done while all the time I am wondering about various aspects of exped and what I need to do next. Sometimes it’s hard to work out details that you didn’t think would be a challenge but I guess an expedition wouldn’t be one without hiccups along the way. As team leader I need to work these things out and be strong in my decision making skills. Ooh, need to sort my tickets to go and see Sir Chris Bonington soon, very excited! 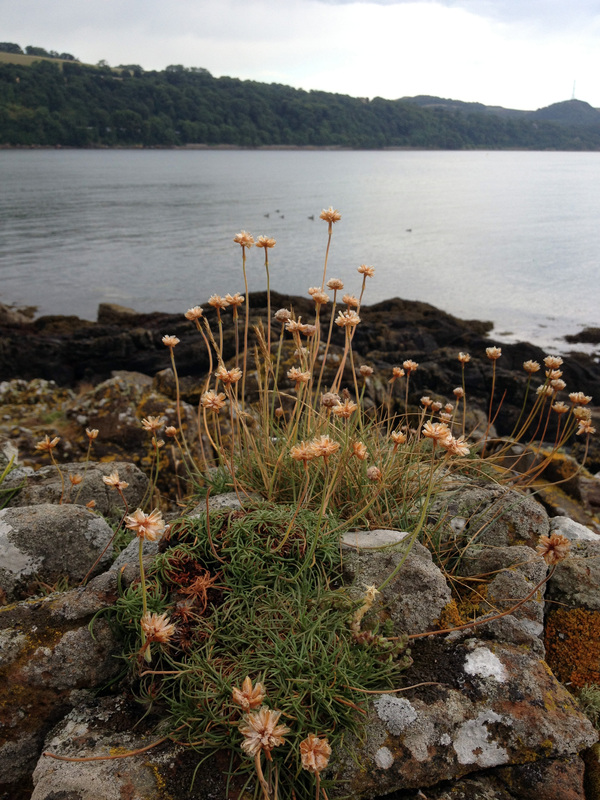 Ok so Dunkeld was a wee while ago now, just trying to catch up on my bloggy bits. After enjoying a fun weekend in Edinburgh for an annual catch up with some close friends, Fraser and I headed up on the Monday bank holiday weekend to climb outside with the summer sun still strong. I loved the hot weather on the other had when Fraser is belaying on a ledge after the first pitch waiting for me to get find my way on the route after thinking I was lost – he doesn’t like the sun so much. So Fraser led the first route of the day which was a lovely Severe where he had some interesting gear placement, I especially liked the double stacked hex – the most creative I’ve seen so far. The I led Twisted Rib which was 2 pitches of meandering up to a ledge then a step across a small void to a big block and onto some slabby stuff. From here is was unclear where to go due to amount of growth on the route but eventually found my way in the baking sun and topped out. Another route after that and we were done for the day. Glen and his mate were also at Dunkeld that day making it a Tiso hat-trick and thanks to Glen for the stealth picture taking… you must know that I hate posing for pictures. Cashed in my money jar and bought some new shiny things. Had to go and have a play as it wasn’t really a climbing day and everyone was busy except me! 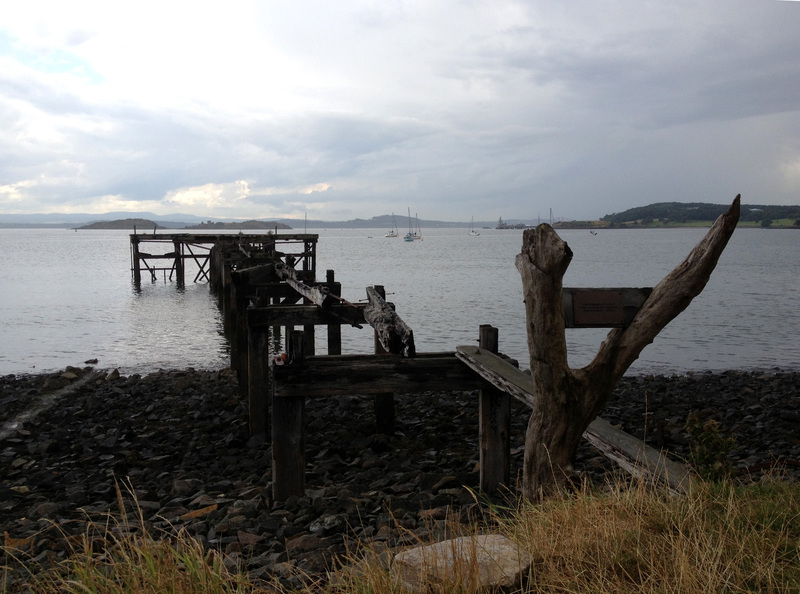 Old rickety pier just out of Aberdour at the crag. I have just had a couple of really busy days which I didn’t anticipate. After finishing all my college assignments and thus my HND last week I thought there might be a lull between that and the kids beginning their summer holidays. Thinking this would give me a chance to start planning and training in ernest with very little pressure. So I placed my add on UKC and have received some responses via email which I am now working through. As this is not an expedition for the light hearted I need to know that the team I put together are going to be fully committed and willing to work hard to achieve the end goal – new exciting routes for other climbers to repeat. This does not mean they will be all serious and constantly beasting their way to doom and gloom. Hell no I couldn’t cope with that every day, I would go nuts myself let alone others in the team. 5 other climbers as crazy as I am in their own way. Banter delivered by said climbers. Porridge for when we can’t catch any fish. Right now it’s all about adding to my reading list, talking to people who know more than me and listening (a lot). It’s a steep learning curve, sometimes I wonder what have let myself in for then other times I know deep down that I have to do this. It doesn’t always have to be the most famous climbers who do the most amazing climbs. Half way through my cup of tea! Today I started out with some reasearch followed by a couple of hours of gardening, groceries, then collecting the monsters from school + one friend. Now all dispersed doing their thing minecraft (grrrrr) and playing outside :). I am anxiously awaiting the arrival of my new shoes ready for my first mult-pitch on Friday. Scarpa Force X which I will get a photo of and write a review before the weekend is out. They have extra padding for all day comfort – looking forward to that. For now that’s me I have things to do and kids to feed. Climb hard and have fun! Today is the first day since I began planning this expedition where I have been able to focus on it and not allowed college assignments to interupt my thoughts and take up my time. What a good feeling it is. So far I have a notebook where I jot down ideas, tips from other explorers/climbers about kit, food, maps and everything else that you can think of. My kit list seems to be changing every day as I research more about what I need and what I don’t. There really is so much kit around now days that it’s easy to get overwhelmed by all the tech talk and information available. What I’ve learnt this week: there will be black fly in East Greenland and yes I will need a midge net. Damn it!